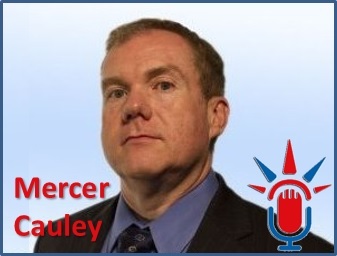 Mercer Cauley is a North Carolina Board Certified Specialist in the area of Immigration Law. 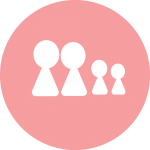 He and the Cauley Law Firm, focuses exclusively in the areas of business, family and removal based immigration. He has dedicated his law practice to immigration and nationality law since 2003. During these years he has developed creative strategies to assist a range of businesses requiring non-immigrant and immigrant visas for employees. The impact of DACA on today’s immigration landscape. My fellow Americans, tonight, I’d like to talk with you about immigration. For more than 200 years, our tradition of welcoming immigrants from around the world has given us a tremendous advantage over other nations. It’s kept us youthful, dynamic, and entrepreneurial. It has shaped our character as a people with limitless possibilities — people not trapped by our past, but able to remake ourselves as we choose. But today, our immigration system is broken, and everybody knows it. Families who enter our country the right way and play by the rules watch others flout the rules. Business owners who offer their workers good wages and benefits see the competition exploit undocumented immigrants by paying them far less. All of us take offense to anyone who reaps the rewards of living in America without taking on the responsibilities of living in America. And undocumented immigrants who desperately want to embrace those responsibilities see little option but to remain in the shadows, or risk their families being torn apart. It’s been this way for decades. And for decades, we haven’t done much about it. When I took office, I committed to fixing this broken immigration system. And I began by doing what I could to secure our borders. Today, we have more agents and technology deployed to secure our southern border than at any time in our history. And over the past six years, illegal border crossings have been cut by more than half. Although this summer, there was a brief spike in unaccompanied children being apprehended at our border, the number of such children is now actually lower than it’s been in nearly two years. Overall, the number of people trying to cross our border illegally is at its lowest level since the 1970s. Those are the facts. Meanwhile, I worked with Congress on a comprehensive fix, and last year, 68 Democrats, Republicans, and Independents came together to pass a bipartisan bill in the Senate. It wasn’t perfect. It was a compromise, but it reflected common sense. It would have doubled the number of border patrol agents, while giving undocumented immigrants a pathway to citizenship if they paid a fine, started paying their taxes, and went to the back of the line. And independent experts said that it would help grow our economy and shrink our deficits. Had the House of Representatives allowed that kind of a bill a simple yes-or-no vote, it would have passed with support from both parties, and today it would be the law. But for a year and a half now, Republican leaders in the House have refused to allow that simple vote. Now, I continue to believe that the best way to solve this problem is by working together to pass that kind of common sense law. But until that happens, there are actions I have the legal authority to take as President – the same kinds of actions taken by Democratic and Republican Presidents before me – that will help make our immigration system more fair and more just. Tonight, I am announcing those actions. First, we’ll build on our progress at the border with additional resources for our law enforcement personnel so that they can stem the flow of illegal crossings, and speed the return of those who do cross over. Second, I will make it easier and faster for high-skilled immigrants, graduates, and entrepreneurs to stay and contribute to our economy, as so many business leaders have proposed. Third, we’ll take steps to deal responsibly with the millions of undocumented immigrants who already live in our country. I want to say more about this third issue, because it generates the most passion and controversy. Even as we are a nation of immigrants, we are also a nation of laws. Undocumented workers broke our immigration laws, and I believe that they must be held accountable – especially those who may be dangerous. 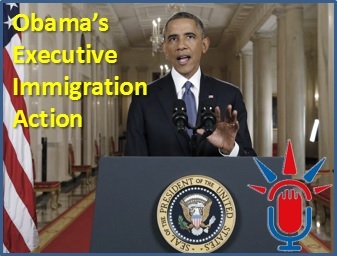 That’s why, over the past six years, deportations of criminals are up 80 percent. And that’s why we’re going to keep focusing enforcement resources on actual threats to our security. Felons, not families. Criminals, not children. Gang members, not a mother who’s working hard to provide for her kids. We’ll prioritize, just like law enforcement does every day. But even as we focus on deporting criminals, the fact is, millions of immigrants – in every state, of every race and nationality — will still live here illegally. And let’s be honest — tracking down, rounding up, and deporting millions of people isn’t realistic. Anyone who suggests otherwise isn’t being straight with you. It’s also not who we are as Americans. After all, most of these immigrants have been here a long time. They work hard, often in tough, low-paying jobs. They support their families. They worship at our churches. Many of their kids are American-born or spent most of their lives here, and their hopes, dreams, and patriotism are just like ours. Now here’s the thing: we expect people who live in this country to play by the rules. We expect that those who cut the line will not be unfairly rewarded. So we’re going to offer the following deal: If you’ve been in America for more than five years; if you have children who are American citizens or legal residents; if you register, pass a criminal background check, and you’re willing to pay your fair share of taxes — you’ll be able to apply to stay in this country temporarily, without fear of deportation. You can come out of the shadows and get right with the law. That’s what this deal is. Now let’s be clear about what it isn’t. This deal does not apply to anyone who has come to this country recently. It does not apply to anyone who might come to America illegally in the future. It does not grant citizenship, or the right to stay here permanently, or offer the same benefits that citizens receive – only Congress can do that. All we’re saying is we’re not going to deport you. I know some of the critics of this action call it amnesty. Well, it’s not. Amnesty is the immigration system we have today – millions of people who live here without paying their taxes or playing by the rules, while politicians use the issue to scare people and whip up votes at election time. That’s the real amnesty – leaving this broken system the way it is. Mass amnesty would be unfair. Mass deportation would be both impossible and contrary to our character. What I’m describing is accountability — a commonsense, middle ground approach: If you meet the criteria, you can come out of the shadows and get right with the law. If you’re a criminal, you’ll be deported. If you plan to enter the U.S. illegally, your chances of getting caught and sent back just went up. The actions I’m taking are not only lawful, they’re the kinds of actions taken by every single Republican President and every single Democratic President for the past half century. And to those Members of Congress who question my authority to make our immigration system work better, or question the wisdom of me acting where Congress has failed, I have one answer: Pass a bill. I want to work with both parties to pass a more permanent legislative solution. And the day I sign that bill into law, the actions I take will no longer be necessary. Meanwhile, don’t let a disagreement over a single issue be a dealbreaker on every issue. That’s not how our democracy works, and Congress certainly shouldn’t shut down our government again just because we disagree on this. Americans are tired of gridlock. What our country needs from us right now is a common purpose – a higher purpose. Most Americans support the types of reforms I’ve talked about tonight. But I understand the disagreements held by many of you at home. Millions of us, myself included, go back generations in this country, with ancestors who put in the painstaking work to become citizens. So we don’t like the notion that anyone might get a free pass to American citizenship. I know that some worry immigration will change the very fabric of who we are, or take our jobs, or stick it to middle-class families at a time when they already feel like they’ve gotten the raw end of the deal for over a decade. I hear these concerns. But that’s not what these steps would do. Our history and the facts show that immigrants are a net plus for our economy and our society. And I believe it’s important that all of us have this debate without impugning each other’s character. Because for all the back-and-forth of Washington, we have to remember that this debate is about something bigger. It’s about who we are as a country, and who we want to be for future generations. Are we a nation that tolerates the hypocrisy of a system where workers who pick our fruit and make our beds never have a chance to get right with the law? Or are we a nation that gives them a chance to make amends, take responsibility, and give their kids a better future? Are we a nation that accepts the cruelty of ripping children from their parents’ arms? Or are we a nation that values families, and works to keep them together? Are we a nation that educates the world’s best and brightest in our universities, only to send them home to create businesses in countries that compete against us? Or are we a nation that encourages them to stay and create jobs, businesses, and industries right here in America? I know the politics of this issue are tough. But let me tell you why I have come to feel so strongly about it. Over the past few years, I have seen the determination of immigrant fathers who worked two or three jobs, without taking a dime from the government, and at risk at any moment of losing it all, just to build a better life for their kids. I’ve seen the heartbreak and anxiety of children whose mothers might be taken away from them just because they didn’t have the right papers. I’ve seen the courage of students who, except for the circumstances of their birth, are as American as Malia or Sasha; students who bravely come out as undocumented in hopes they could make a difference in a country they love. These people — our neighbors, our classmates, our friends — they did not come here in search of a free ride or an easy life. They came to work, and study, and serve in our military, and above all, contribute to America’s success. Tomorrow, I’ll travel to Las Vegas and meet with some of these students, including a young woman named Astrid Silva. Astrid was brought to America when she was four years old. Her only possessions were a cross, her doll, and the frilly dress she had on. When she started school, she didn’t speak any English. She caught up to the other kids by reading newspapers and watching PBS, and became a good student. Her father worked in landscaping. Her mother cleaned other people’s homes. They wouldn’t let Astrid apply to a technology magnet school for fear the paperwork would out her as an undocumented immigrant — so she applied behind their back and got in. Still, she mostly lived in the shadows — until her grandmother, who visited every year from Mexico, passed away, and she couldn’t travel to the funeral without risk of being found out and deported. It was around that time she decided to begin advocating for herself and others like her, and today, Astrid Silva is a college student working on her third degree. Are we a nation that kicks out a striving, hopeful immigrant like Astrid — or are we a nation that finds a way to welcome her in? Scripture tells us that we shall not oppress a stranger, for we know the heart of a stranger — we were strangers once, too. My fellow Americans, we are and always will be a nation of immigrants. We were strangers once, too. And whether our forebears were strangers who crossed the Atlantic, or the Pacific, or the Rio Grande, we are here only because this country welcomed them in, and taught them that to be an American is about something more than what we look like, or what our last names are, or how we worship. What makes us Americans is our shared commitment to an ideal — that all of us are created equal, and all of us have the chance to make of our lives what we will. That’s the country our parents and grandparents and generations before them built for us. That’s the tradition we must uphold. That’s the legacy we must leave for those who are yet to come. 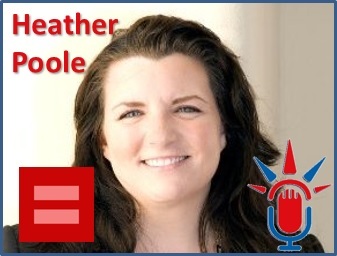 In this episode we talk to immigration attorney Heather Poole about the strike down of the Defense of Marriage Act and the impact on Immigration. Heather is an experienced U.S. immigration attorney with 14 years of exclusively immigration law work, representing executives, professionals, individuals and families all over the world. She is frequent lecturer and trainer on immigration issues to national and regional bar associations, non-profit agencies, and private legal education providers. 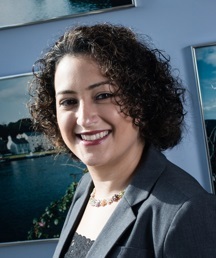 She is a published national author and attorney trainer on complex family and marriage-based immigration issues, holds a national liaison position for American Immigration Lawyers Association (AILA) and is current Chair of the American Immigration Lawyers Association Southern California Chapter… which is the 3rd largest group of immigration attorneys in the US. How to protect your rights and actions to take domestically and abroad if you feel your LGBT Immigration issue is not being handled appropriately. Personal Success Habits: Very positive and optimistic, yet very organized. Outlook Junkie! Heather has also worked with us to provide a brief document entitled: Know Your Options at the Border: Tips for Working with CBP at Entry. You can get your copy at the link below.